The Remo Powerstroke P3 Clear has a bright attack which quickly gives way to focused midrange and low-end tones. The Remo Powerstroke P3 Clear is made with a single ply of clear 10mil film, control rings, and an underside floating inlay ring (3mil for toms and snare, and 10mil for the bass drum version). 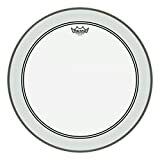 The combination of the thinner single ply and added dampening creates a great balance between sensitivity and control. The control and inlay rings act to reduce high-pitch ringing, and shortens the sustain. The result is a brighter attack followed by a quick and warm sustain with no ringing overtones. 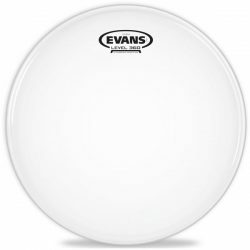 The Clear Powerstroke P3 gives more brightness and attack compared to the Coated version. 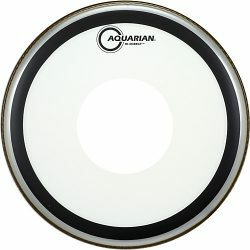 Due to the added control, this brightness quickly gives way to a short warm sustain which sounds great on toms and bass drums. 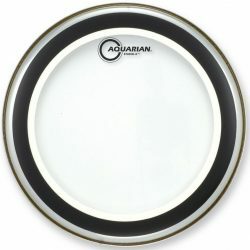 This drumhead has a focused sound when tuned high, and a short and cutting punch when tuned low. 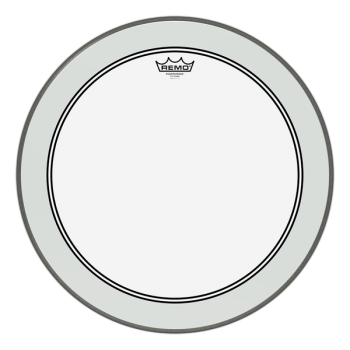 The Powerstroke P3 Clear is also usable on snare drums when played with drumsticks (if you plan on using brushes, you’ll need a coated drumhead). The thinner ply means that this drumhead is sensitive enough to be played at lower volumes, and can also be used for medium to higher volume music. 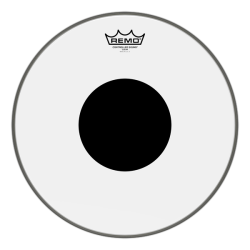 For very high volumes, you’ll need microphones on your kit to be heard with these heads. 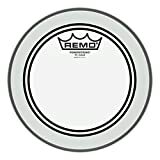 If you want a responsive drumhead that cuts out the ringing, the Remo Powerstroke P3 Clear is a great choice. 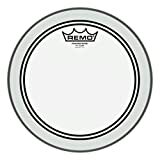 Remo Powerstroke P3 Clear Bass Drumhead, 20"
Remo Powerstroke P3 Clear Drumhead, 8"
Remo Powerstroke P3 Clear Drumhead, 12"
Remo Powerstroke P3 Clear Bass Drumhead, 18"